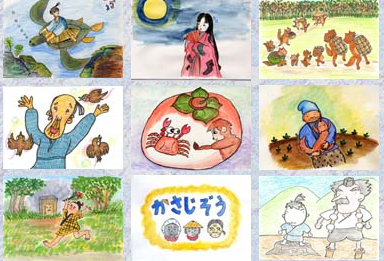 On this site you can read, and listen to, Japanese folklore tales in 12 different languages, with accompanying pictures. There are 12 languages available on the menu, but the number of stories available in each differs. 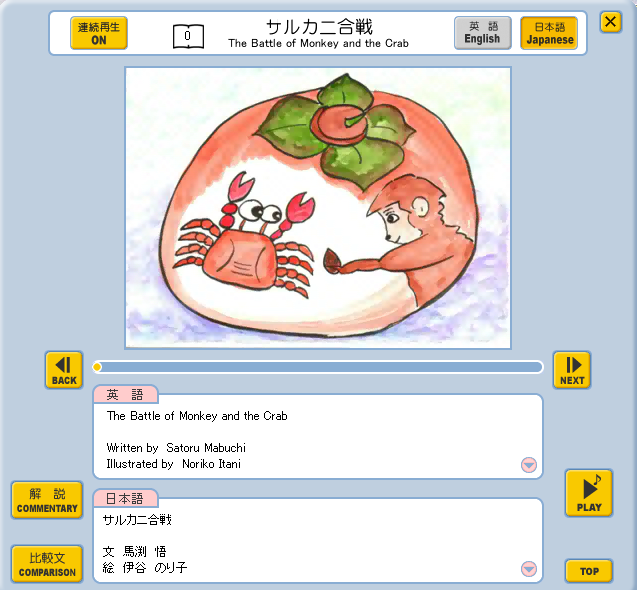 The Japanese language has the most stories available. There are contents in picture-form and in written-form. For those that have audio, you can listen to the story whilst reading the script in Japanese and English. You need to download audio files in order to listen to the stories. 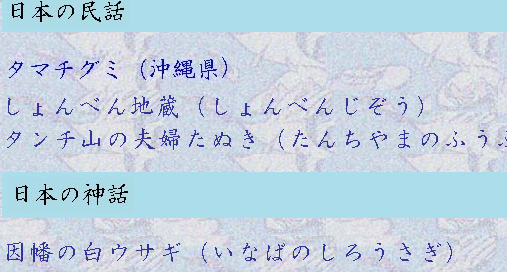 You can enlarge the Japanese text to read it. There are picture-style contents and written-style contents. You can use either to choose the story you want. If you want to listen to the story in spoken form, you need to download audio files. You can't save these files just by listening to them. From the top page, click on the '音声Voice' (Spoken voice) button to go to the list of contents showing stories that have audio (30 in total). From there, you can choose the story you want to listen to. We tried downloading one read-aloud storybook. Download a story and a screen like this will appear. You can play the audio in Japanese or English. You can view text in Japanese and English as you listen. There is also a '連続再生' (consecutive play) button, allowing you practice in different ways - i.e. play the audio once while looking at the text, then try listening again without looking. 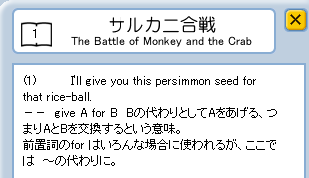 Press the COMMENTARY button and you'll be given help understanding the Japanese, in the form of grammar explanations. At first the display is in the form of a Japanese/English parallel translation, but if you press the COMPARISON button, both the Japanese and English will be shown together, using different colours. For studying Japanese, it might be a good idea to check the content of the story first in your native language (or a second language you understand well), then try reading it in Japanese!